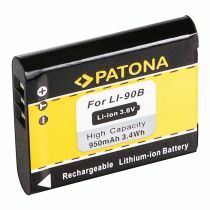 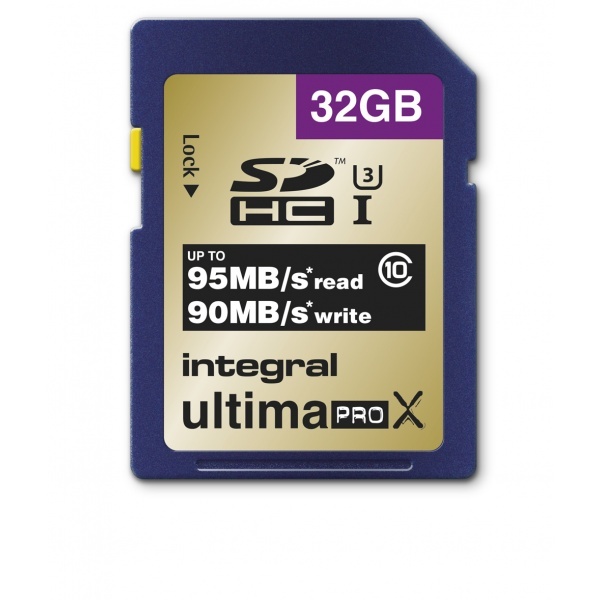 UltimaPro X SDHC 32GB 95/90MB C10 UHS-I U3. 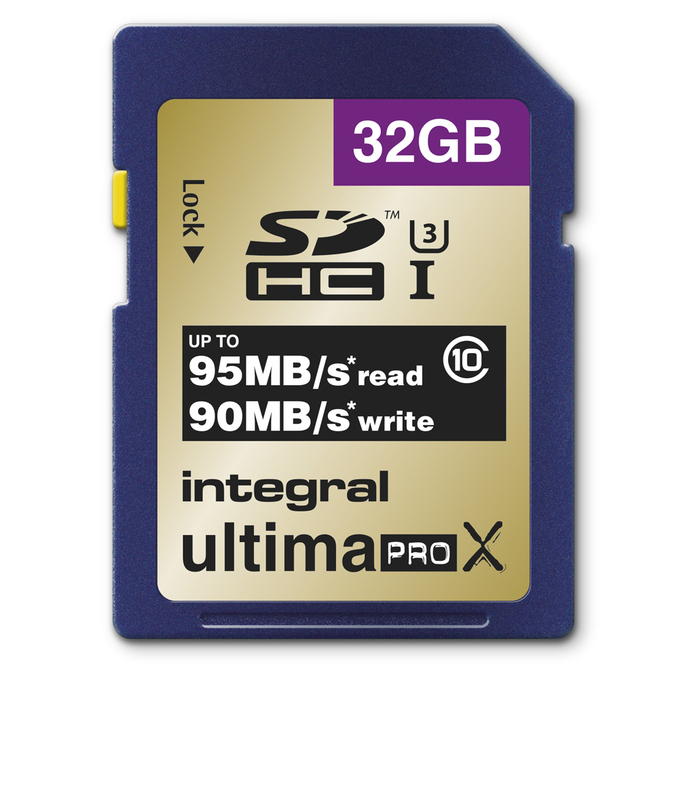 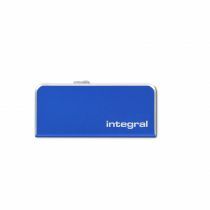 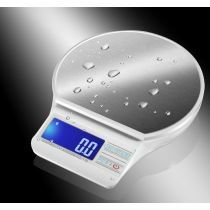 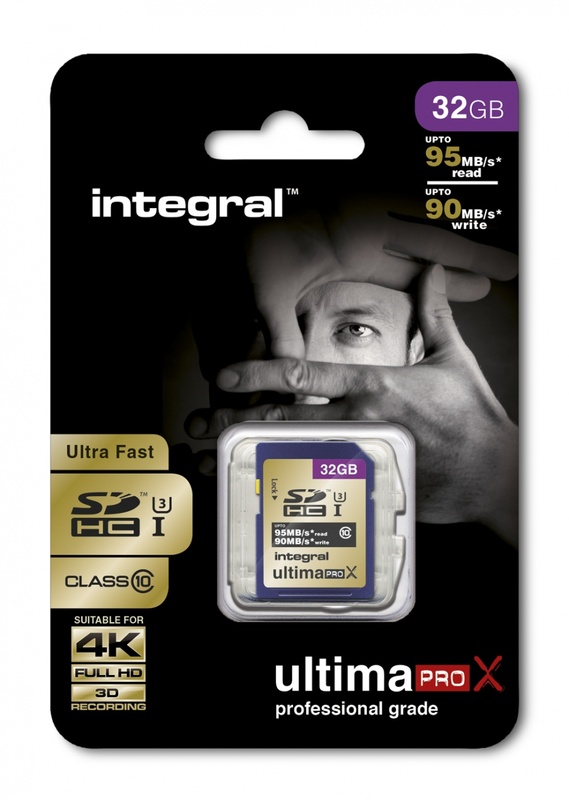 UltimaPro X Memory card SDHC and SDXC 95/90MB/s are professional grade memory cards from Integral. 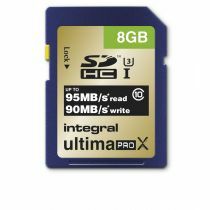 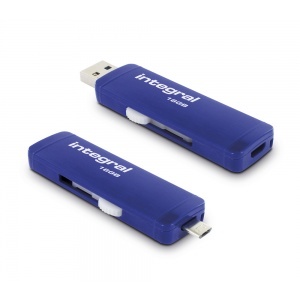 Our advanced chip-set delivers up to 95MB/s read and 90MB/s write speed; ideal for recording 4K, 2K, Full HD, 3D video and RAW and jpeg images.